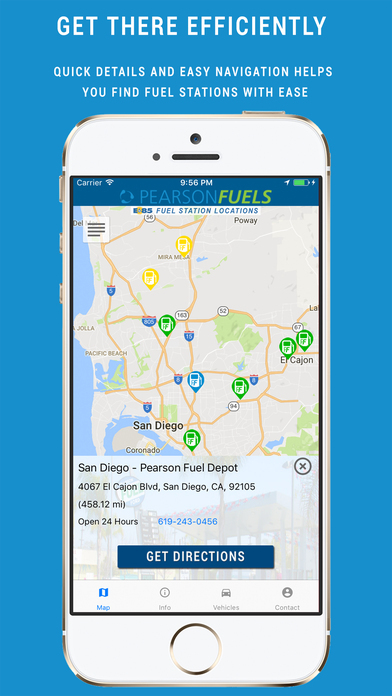 Feel Good Fueling Up® with the original retail Fuel Depot in San Diego, or experience the reality of fueling an alternative fuel vehicle from a dispenser that is integrated into one of our partners’ retail sites. 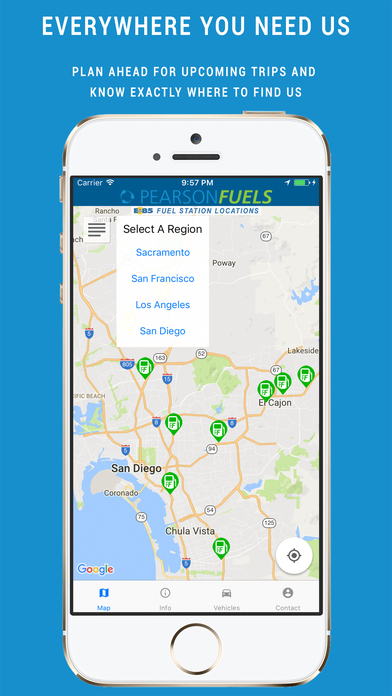 Utilizing intuitive map functionality, this app is a convenient finder for Pearson Fuels E85 fuel locations. 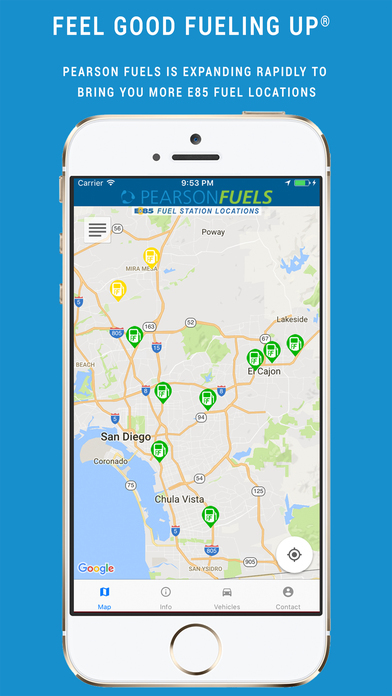 Find a station near you or along your route for a trip and never worry again about finding one of our stations. Find hours, addresses, phone numbers and even start navigating with a tap. We are working to bring you more locations, and now with our app you can stay up to date with our new additions!